It’s been a while since I wrote an article for Cub Scout leaders, and while this information isn’t exclusively for them, it’s the Cub leaders that could benefit most, due to more of them being newer to Scouting. While Cub Scouting is all about the boys, there are many difficulties that cause commissioners and district professionals to go prematurely grey when pack leadership doesn’t do its part. The difference between a so-so pack and a high-functioning pack can sometimes be traced back to the clerical and administrative aspects. Perhaps the one thing that gives the most return for time spent is for the pack leadership to attend the monthly Roundtable. This is where you will hear news from council, get reminders on due dates and upcoming events, check your mailbox for flyers, scout shop receipts and possibly rejected advancement reports, talk with other leaders and get to know your professional staff and commissioners. Every pack needs to be represented at every Roundtable! If the Cubmaster can’t make it, make sure that at least one other leader goes. Remember, though, that Roundtable is for all leaders in all positions. There’s something to benefit Den Leaders and Webelos Leaders, Cubmasters and committee people. Next on the list is to complete all the paperwork and turn it in! I’m always surprised to hear about Cub packs that don’t register boys or adults promptly. You shouldn’t hold on to new youth applications any longer than it takes to get them to the council office. Don’t save them for recharter time! If you do, this has several impacts: Most importantly, the boy isn’t registered, and is not eligible for rank advancement (Bobcat) or awards (belt loops), won’t be covered by insurance, and won’t start receiving Boys’ Life. It also affects your district and council membership numbers. Many districts have failed to earn the Quality District award because of membership declines, when in fact it’s because even though the boys are there, their adult leaders simply haven’t turned in the applications. Likewise, don’t hang on to adult applications either. It’s especially important now that all adults are required to take Youth Protection Training, and by turning in their adult applications with YPT, they are covered by BSA and your boys will be safer. Make sure the adult applications are completed properly, with social security and driver’s license numbers, the position code correctly specified, and the questions on the right side of the form completed. Don’t forget about the consent to background check, and attach the YPT certificate. The adult application needs to be signed by the Committee Chair (not the Cubmaster) and Chartered Organization Representative before it’s turned in, so don’t forget to get those signatures. You will save yourself time, trouble and possibly a return trip to the council service center by having everything in order. My last piece of advice for today is to allow plenty of time to complete your recharter application. Most packs have or are in the process of doing so right now. 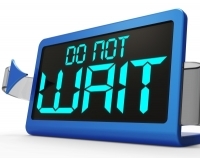 Don’t wait until the last minute to sign into the unit charter renewal system. Get your recharter login credentials from your Unit Commissioner (you can find him or her at Roundtable, of course!) and sign in as soon as you can. You can download and print your roster and have time to make sure it’s accurate, make changes as needed, chase down applications you forgot about, and get it submitted online in plenty of time before expiration. And, you’re not done when you submit the online application – you still need to get signatures from your Cubmaster, head of the Chartered Organization and district executive, and pay registration fees. Plan on having everything done at least 15 days before your charter expires, to allow for anything unforeseen to be corrected. Most packs operate on a school year (September to August) membership cycle, while charters are typically renewed in January or February, so there is plenty of time to establish your membership roster before you begin the recharter process. Part of the rechartering process is making sure you have enough registered adult leaders in the various categories. You need a Cubmaster, at least one Tiger Cub Den Leader if you have Tiger Cubs, at least one Den Leader if you have Wolf or Bear scouts, at least one Webelos Den Leader if you have Webelos scouts, and a committee chair and two committee members. Don’t limit yourself to just three on the committee! There are many jobs that can be done by many different people. A large, active committee is one sign of a high-functioning pack. There’s always something for every parent to do, and if you encourage parents to register and be part of the committee, they’ll have more of an ownership stake in their boys’ program. Even though membership is only $15, including adult registrations in your unit budget removes that objection. Keep the administrative and procedural functioning of your pack in mind. The boys will enjoy a better experience, and your district executives and commissioners will be happy too! Previous PostPrevious …if it weren’t for the adults!